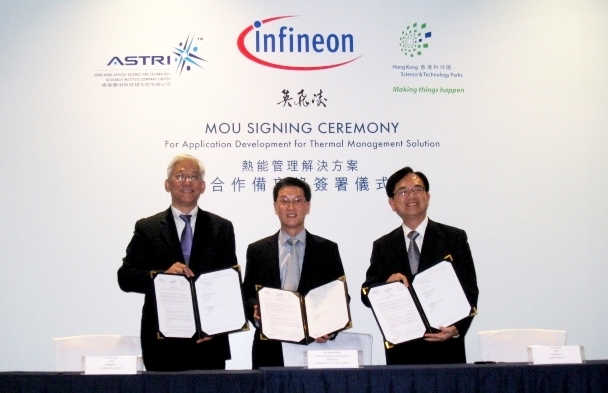 [Hong Kong, 4 December 2014] Infineon Technologies today announced that it has reached a memorandum of understanding (“an agreement”) with Hong Kong Applied Science and Technology Research Institute (“ASTRI”) and Hong Kong Science and Technology Parks Corporation (“HKSTP”) to establish long term collaboration to advance thermal management solutions for high power density applications tailored to the local requirements of the Chinese Mainland and Hong Kong markets. 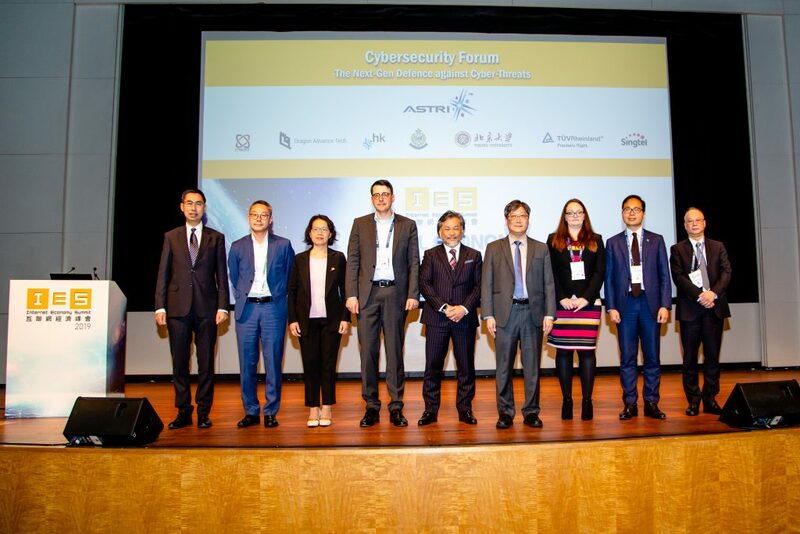 The strategic collaboration will initially leverage on research, testing and package development capabilities in ASTRI and HKSTP and the product to system know how of Infineon to develop effectivethermal management solutionssupporting applications across different industries such as telecommunications, energy storage system and solar conversion. Infineon customers in the telecom and motor drive industries can expect to benefit from one-stop solution and shorter time-to-market. 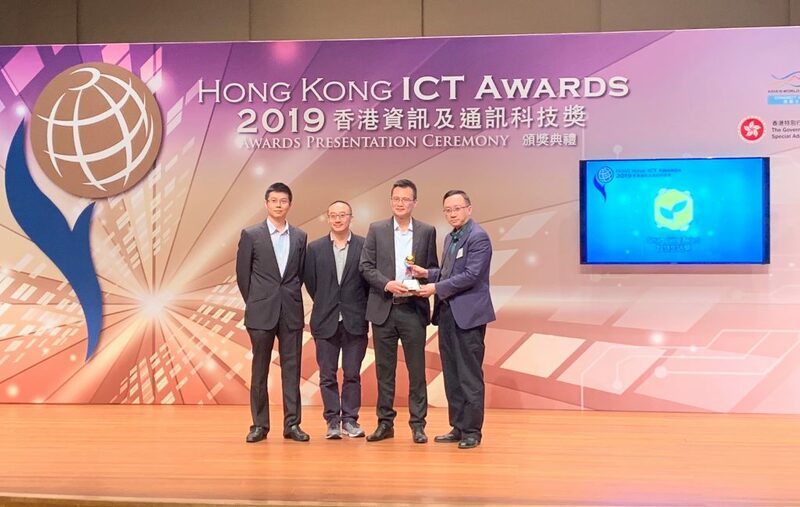 The agreement was signed by Andrew Chong, Regional President and Managing Director of Infineon Technologies Asia Pacific Pte Ltd., Frank Tong, Chief Executive Officer of ASTRI, and Allen Ma, Chief Executive Officer of HKSTP. “We strongly believe in the value added to our business through this partnership between Infineon, ASTRI and HKSTP. Our establishment in the research and development community of the Science Park will enhance our ability to further develop technological innovations that will raise the bar forserving customer and market needs. This will establish our R&D activities in Hong Kong as an essential element of our power management capability in the region,” said Andrew Chong, Regional President and Managing Director of Infineon Technologies Asia Pacific Pte Ltd.
“ASTRI is pleased and privileged to enter into a long-term collaborative relationship with Infineon, a world leader in the semi-conductor manufacturing field. We are well prepared to render technical support for Infineon on its development of innovative products and applications to capture new business opportunities in the Chinese Mainland and Hong Kong. 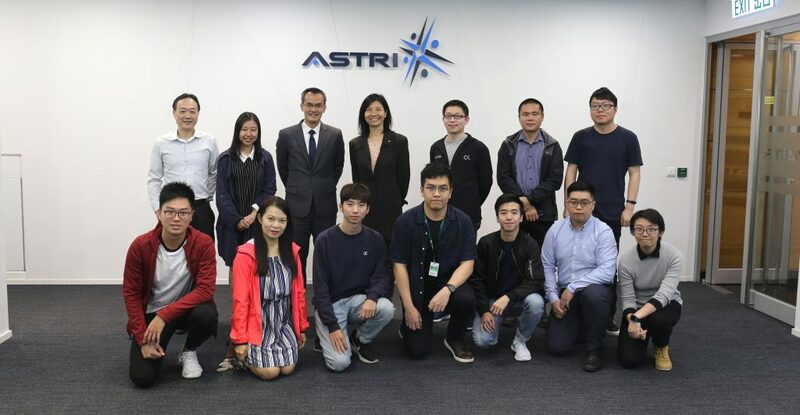 The partnership is indeed a validation of ASTRI’s technological competence, and will without doubt reinforce ASTRI’s position as one of the premier R&D centres in the Asia-Pacific region,” said Frank Tong, Chief Executive Officer of ASTRI. According to IHS Technology – Power Semiconductor Discretes and Modules Report 2014, the global power semiconductor market will reach a total market value of just under€15.6 billion in 2018.Major growth is expected inpower discretes for cellular Infrastructure and cellular headset with a five-year compound annual growth rate (CAGR) of 9.9 percentexpected. While initial focus is on the thermal management solution, the partnership will be further expanded to other power management and multi-market products and solutions. 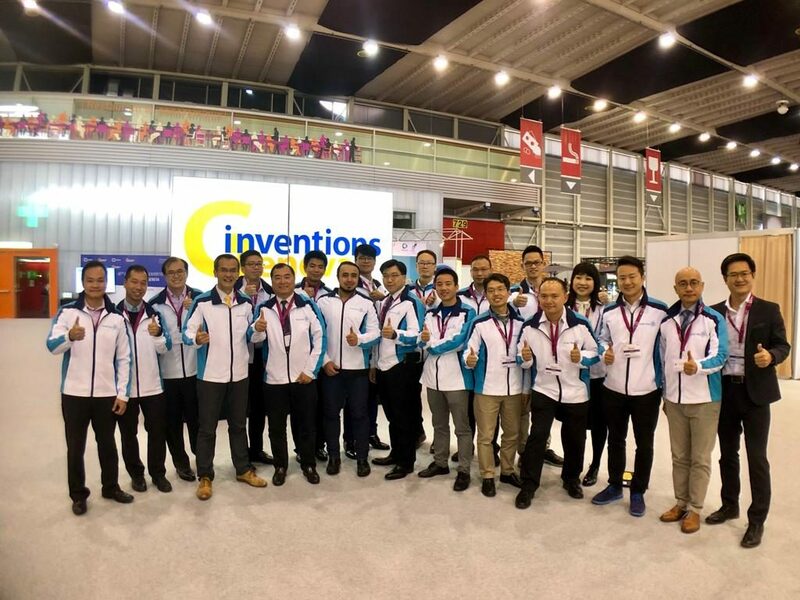 The partnership will enable Infineon to engage the technology talents and facilities at the Park through commercial and technical engagement, and the joint development of other applications in the long run.